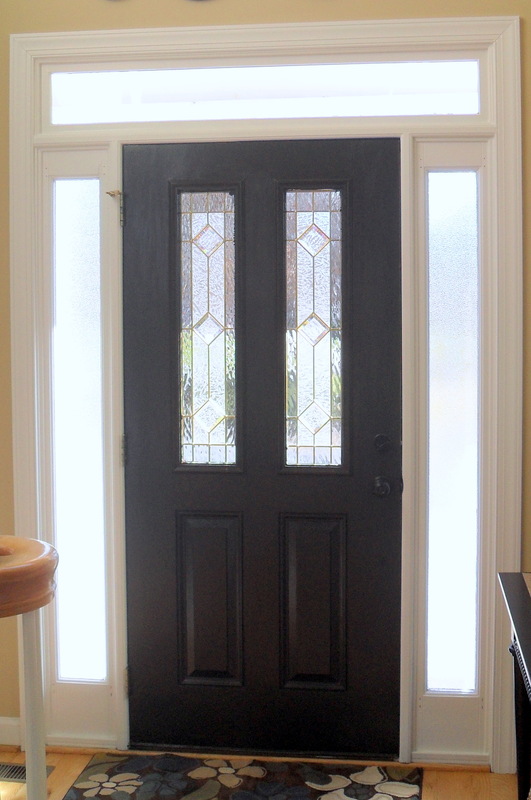 Thanks to model home hopping and of course, Pinterest, I have been thinking about painting my interior front door something other than white. 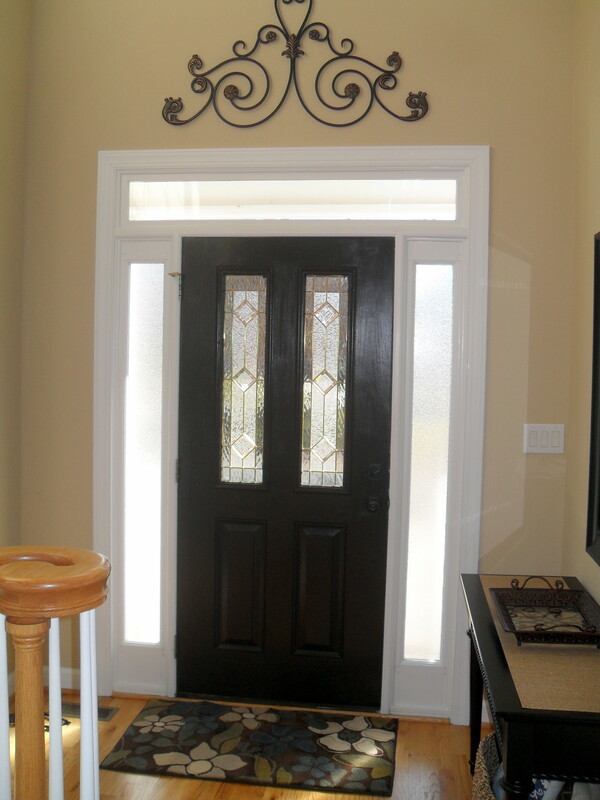 Doors always look stunning when they are painted in dramatic colors. So I went for it. It’s only paint right? The first coat of dark brown (Bittersweet Chocolate from PotteryBarn) looked horrible. I was having a panic attack! How many coats of white will it take to cover THAT up, I wondered??!! My BFF was my partner in crime and she kept encouraging me to move forward. She either had a vision of what it would look like finished, or she was too afraid to tell me it looked awful! After my breathing returned to somewhat normal, I put on the second coat of paint. It was looking better. By the third and final coat I was thinking it would be okay. 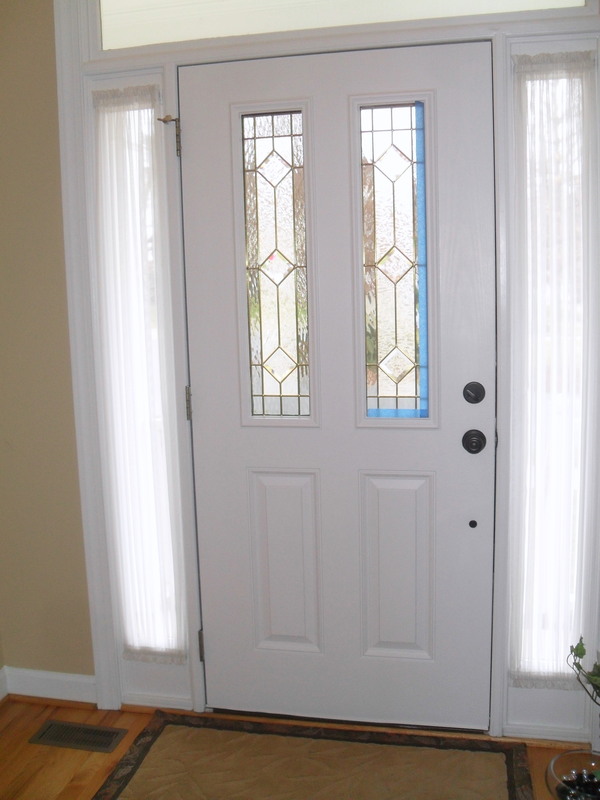 Once the painters tape was removed and the entry way put back together, I was very happy with the results. It was dramatic. That’s what I was looking for. 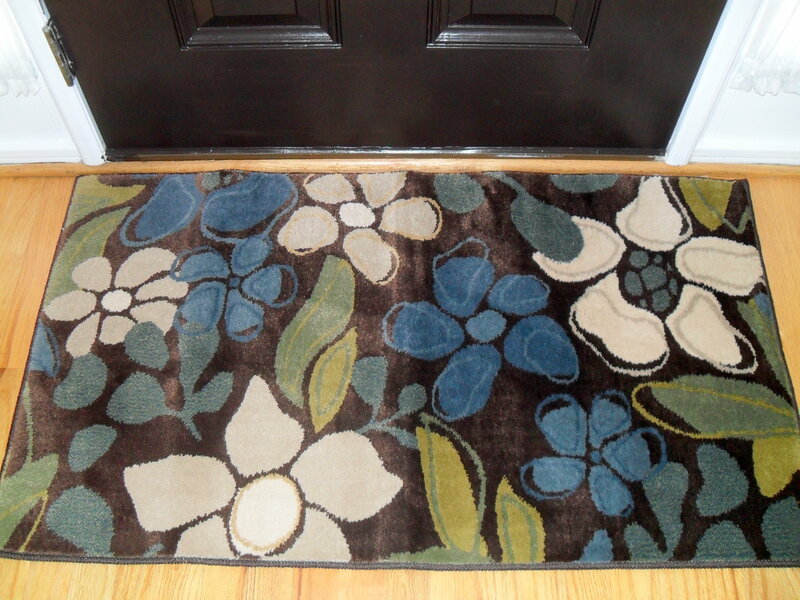 : ) And the cool and groovy rug I picked up at Lowes helped pull everything together. Will I do all the doors in the house? I do have more paint. I’ll let you know! I’m hyper-ventilating at this point. I’m breathing again! Yeah I love it! I have more paint AND more white doors! Posted in DIY (you can do it!) 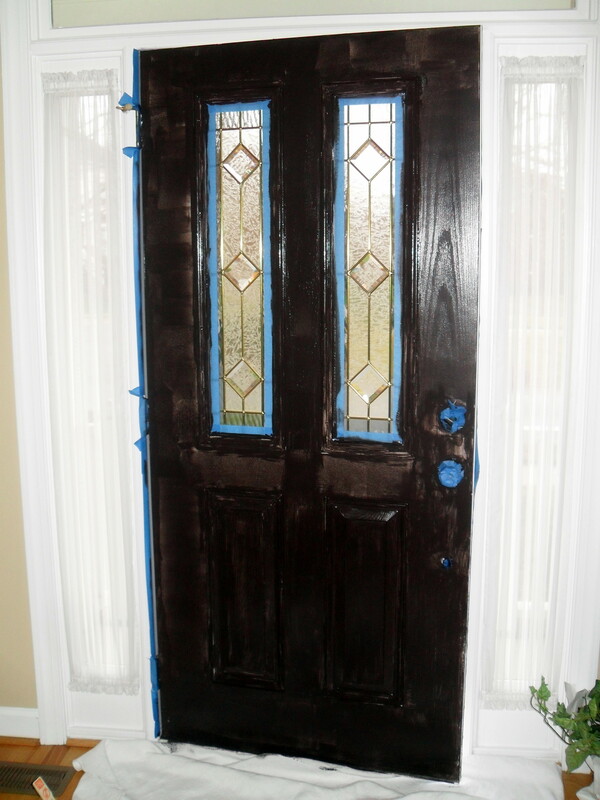 and tagged before and after, Color, DIY, Door, LOWES, paint, Pinterest. Bookmark the permalink. Check out this before and after! So amazing what paint, stain and a little patience can do. I love the colors used on this piece! 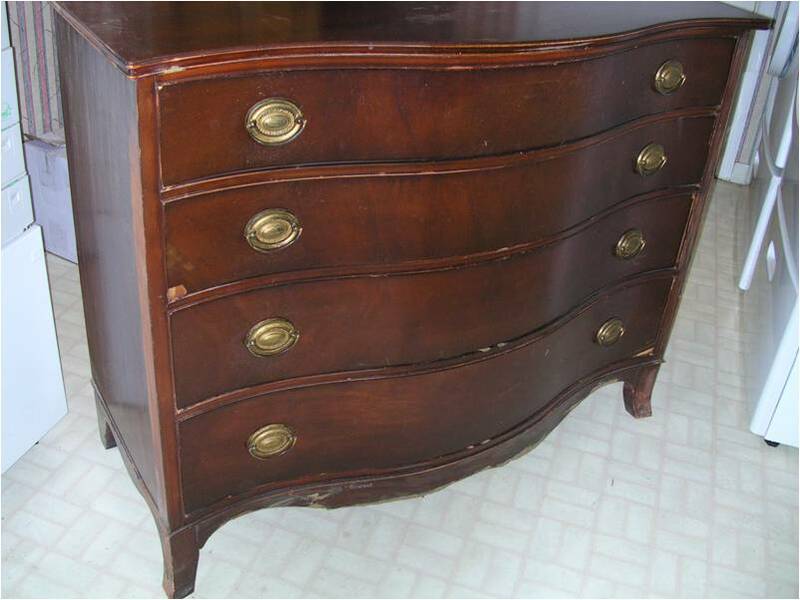 This old dresser has been around for a long time hiding out in a spare bedroom. Not anymore! Great job Francis! I was told the inspiration for this dresser came after seeing the Goodwill dresser post. I think it’s a great example how a little nudge can stir creativity. And creativity allows you to bring something new into being, stamped with your own unique personality! Love, Love, Love it!! Posted in DIY (you can do it!) 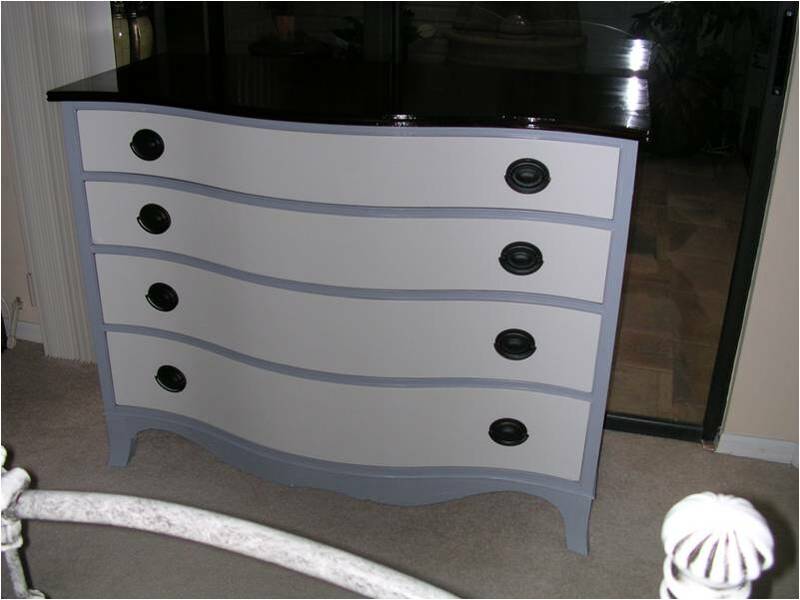 and tagged before and after, Do it yourself, dresser, furniture, furniture redo, paint. Bookmark the permalink.